The Ultimate Cold and Flu Fighting Soup: Green Tea Ramen. The powerful benefits of green tea, fresh garlic, fresh ginger all served up in a warming, comforting Asian Soup. You are guaranteed to feel better in no time! About 2 years ago, my mom told my husband that drinking Green Tea everyday will help boost his immunity. I really am not sure why of all the health advice my family (many of them are in the medical profession) and I have given him through the years this is the one he choose to latch onto and now tries to get his green tea fix daily. In fact, he even asks me several times a week if I drank my green tea as well. Yes dear, I have been drinking it for years–long before you got on the green tea bandwagon. Anywho, this Christmas season we traveled for 2 weeks (crazy, I know!!) For 2 weeks, we neglected our daily drink of green tea and guess what? We ALL got sick. My husband swears the reason is immunity was down because he forgot to drink his tea. Regardless of why, he was the party guilty of giving me and my daughter a nasty cold that happened to turn into pnuemonia for both of us. That boy better NEVER forget to drink his green tea, if the result is me and my little getting pnuemonia–it is miserable, not to mention potentially life-threatening for us CFers. Now that we are home, we have gotten back into our routine of healthy habits, which does include drinking green tea and are on the mend–thankfully! But while I was sick, I got to thinking about all the natural remedies for colds and flu. I know garlic, lemon, and ginger give natural boosts to your immune system, as does green tea. 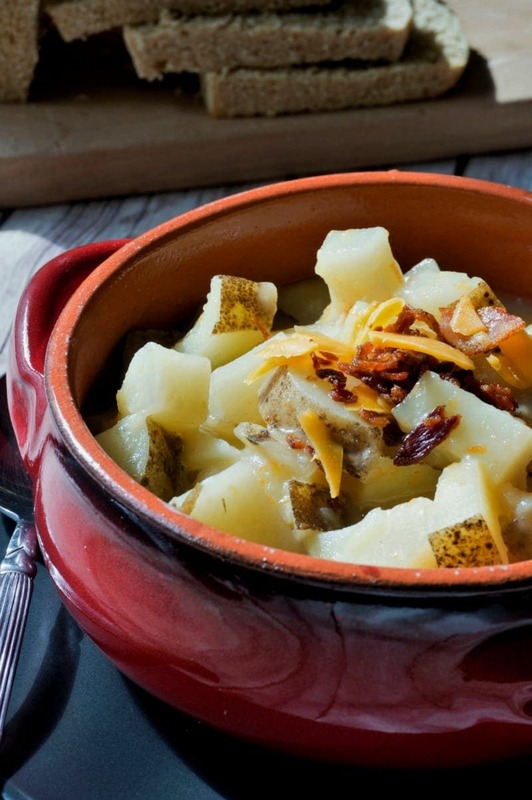 And soup–oh, soup just makes you feel better when you are sick, not to mention sometimes all you may feel up to eating when you are under the weather. So I decided to create the Ultimate Cold and Flu Fighting Soup–one that had more healing properties than chicken soup: Green Tea Ramen Soup. This soup combines the healing properties of green tea with fresh garlic and ginger as the liquid base for this soup. It is bulked up with Soba noodles, shredded carrots, chopped green onions, and fresh minced cilantro–flavor, fiber, and antioxidants. The best part–it comes together in about 15 minutes. So when you are sick, you still will be able to throw this soup together without much effort at all. And if you felt like I did last week, cooking is NOT very appealing when you are down and out. 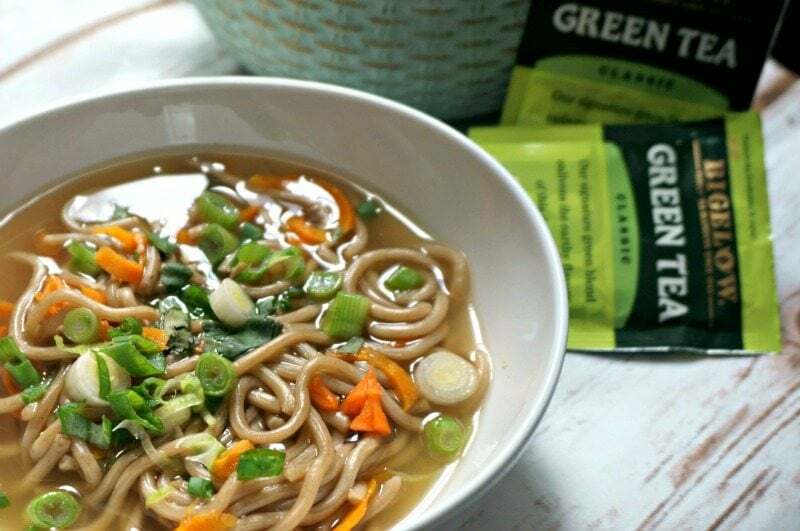 So cozy up with a cup of steaming hot Green Tea Ramen and get your daily dose of green tea goodness in soup form. Perfect for your sick days and for warding off those sick days!! Need a gluten free Ramen soup? 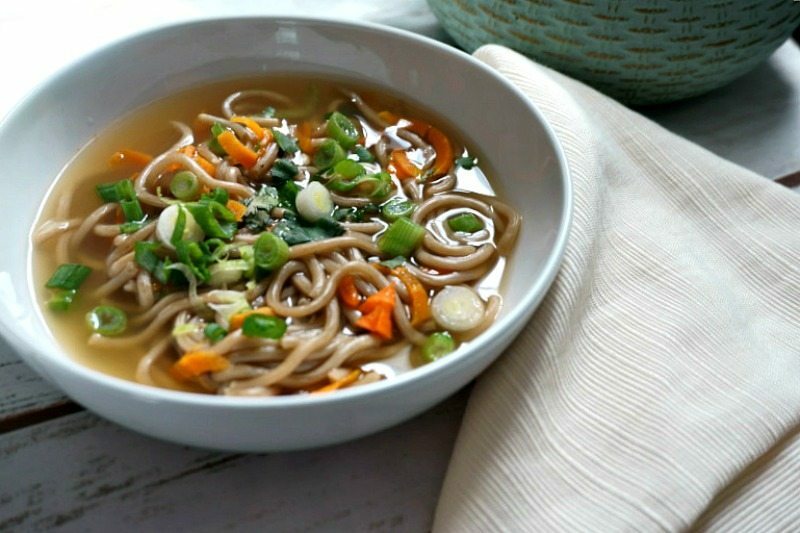 This Gluten Free Ramen Soup from Fearless Dining is incredibly comforting for when you are sick as well. 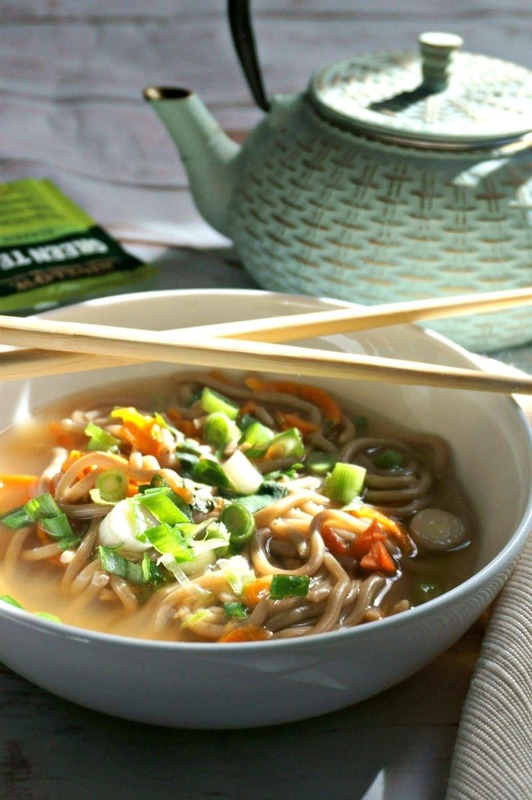 An easy ramen soup made with a green tea broth and fresh vegetables. Bring water, tea bags, garlic, ginger, soy sauce, and vinegar to a boil. Reduce heat and simmer for 5 minutes. Remove tea bags. Add in carrots (I like them with crunch, if you prefer softer, throw them in at the beginning of cooking process) and soba noodles. Cook for about 2 minutes, or until noodles have warmed through. Serve with green onions, cilantro and a dash of hot sauce if desired. *If you prefer your foods sweeter, add in 1 tablespoon honey--it is also known for it's healing properties. Looking for more ways to enjoy your tea? Check out Bigelow for more ideas and product information. 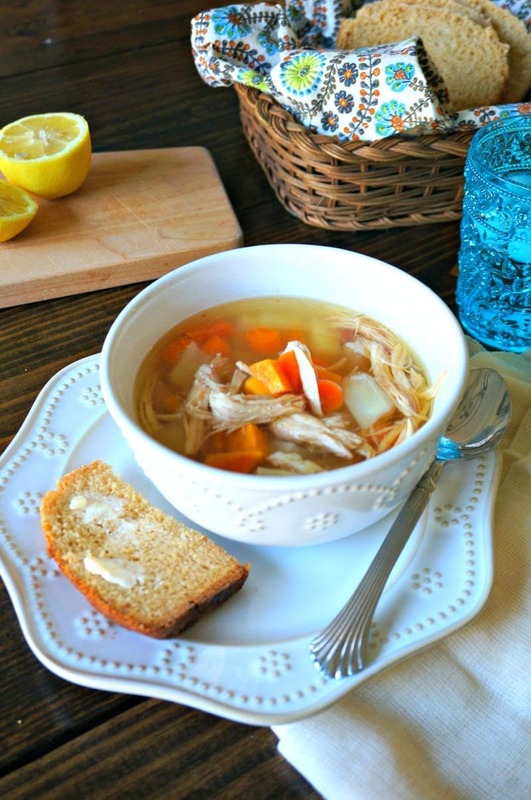 While this soup is fantastic for when you are feeling under the weather, beat those bugs before they have a chance to affect you with my DIY All Natural Disinfectant Wipes. Such a wonderful dish dear!! So healthy and nourishing!! This sounds wonderful, I need to try this! I actually have some ginger green tea in the cupboard right now. Will definitely be trying this recipe out soon! Yes Jordan–you must try this!! I need to hang onto this recipe. Illness is circling our house again. Oh no Michelle, make it fast and get better!! Oh my gosh we are on the same wave length. I just made a chicken soup with one of my loose leaf teas (not green though). I LOVE this idea! So healthy and tasty I’m sure. I have to share this with my tea loving friend. 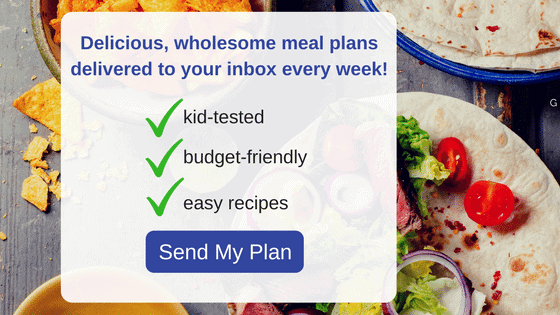 Great minds think alike Denise–can’t wait to see your recipe! I love a good soup when I am feeling under the weather. I am pinning to my soup board for later. I hope I never have to try it but we all know we can’t avoid colds and flu. Great recipe Kristen! I hope you DO try it–even if you are NOT sick!! 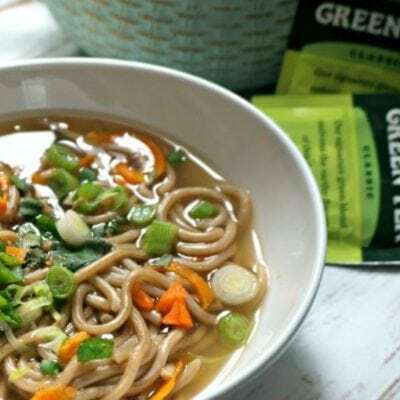 I’ve been fighting a cold for weeks, I’d love a bowl of this Green Tea Ramen Soup to help me fell better right now, it sounds amazing, I can just imagine how warm, soothing, and delicious it must smell! Aw Joy, I hope you feel better. 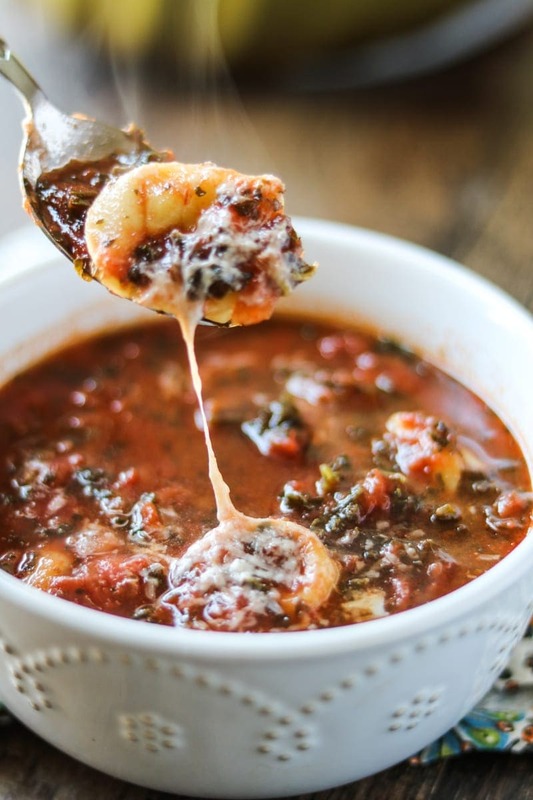 If I could send you a bowl of this soup right now, I would. Luckily, it is easy to make! Mmmmmmmm, this sounds delicious. I will definitely try it soon! I hope that you do–it is so tasty! I have RA and am on Enbrel, so I’m afraid of anything that says it boosts the immune system. I guess I need to ask the doctor about my concerns. Sick or not, this sounds delish! I hope to be trying it very soon. Thanks! 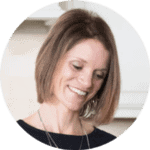 Tammy, please chat with your doctor anytime you feel hesitant to try something. Better to be safe than sorry! However, I would think that Green Tea “immune” properties would be the same as eating berries or citrus. This sounds like a fabulous blend of anti oxidant goodness!! 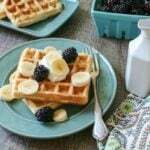 Thank you for a wonderful recipe idea!! This sounds fantastic, but it’s not really ramen when you’re using soba noodles. Absolutely amazing! I added some of my own tweaks to this recipe, like bok-choy and grilled seasoned chicken and it was hit for the whole house!!! Thank you for sharing, Kristen.